As impressive as McHughs opening round win was, the addition of Oldfield and others this weekend creates an even bigger challenge for the second-generation racer to deliver a repeat performance. 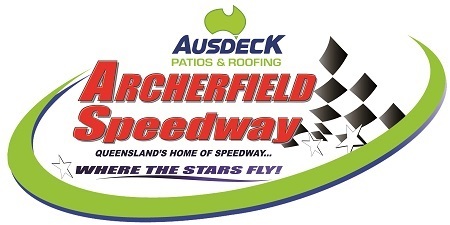 Oldfield is always sensational around Archerfield and he will be determined to launch his season in style, while Steven Lines from South Australia looms as another significant threat as the only other driver to have won a Sprintcar feature race in Queensland so far this season. Lines was victorious in Toowoomba last month and would love to repeat the rout this weekend in the championship that is sponsored by his team owner Dave Horrell, while current track champion Andrew Scheuerle finished second in the series opener and again looms as one of the biggest obstacles McHugh will need to overcome if he is to take his Sedl Civil Contractors/Castrol Cool for another tour of victory lane. Queensland champion Mitchell Gee enjoyed the perfect start to his season when he clocked Fast Time in qualifying at the opening round, only for a late-race spin to cruel his feature race aspirations and leave him 13th overall at the chequer, a result that will have the teenager fired up to make amends this weekend. Conversely, Toowoomba veteran Peter Lack put the misfortunes of last season behind him to score a strong third-place result in the championship opener and will be hoping to use that result as a springboard for a season of continued success. Other contenders this Saturday night include Brent Kratzmann, David Whell, Kevin Titman and another South Aussie ace in Glen Sutherland, all of whom secured top ten finishes in the opening round, while Australian Dirt Modified champion Kevin Britten also produced his best Sprintcar performance in that event and must be considered a genuine contender in a field that also includes the likes of Brock Dean, Jayden Peacock, Cody Maroske and Formula 500 graduate Ryan McNamara in his Sprintcar competition debut. In what is their strongest start to a season for quite some time and is hopefully a sign of what can be expected from them in subsequent events, a stout field of 26 drivers will contest the opening round of the Ian Boettcher Race Parts Wingless Sprints Super Series. Shaping as a traditional Queensland versus New South Wales showdown, with Robert Mazzer, Matthew Wright, Michael Butcher and David Eggins leading a posse of nine cars from south of the border intent on upstaging local front runners such as Brant Chandler, Cody OConnell, Josh Dreaver and Brad Keiler. A couple of interesting names on the entry list are Dan Moes and Liam Atkinson, both of whom have spent time in the Sprintcar ranks and will be hoping that experience pays dividends when the pressure is on. Although a little down on numbers for their first outing of the season, the 16-car field for the opening round of the Brims Concrete Super Sedan Series does not lack for quality with the two top drivers in the country amongst the entries. Darren Kane and Matt Pascoe have dominated the category, both locally and at a national level, for several seasons and have accumulated five Australian Championship victories (and 14 podium finishes in total) between them. Former New South Wales champion Ian Brims leads the challengers looking to spring an upset, with Sean Black, Leigh Williams, Tania Smith, Justin Randall and Townsville-based Trent Wilson also likely to feature in the bustle to upstage the dynamic duo. Round three of the NuPave Formula Series will also feature the nations top talent with Australian titleholder Liam Williams headlining the field. Undefeated thus far in the early weeks of the season, Williams will be chasing his third consecutive feature race win, having prevailed in both previous rounds at Toowoomba and Archerfield. Given their form in those previous rounds, the most likely to deny a three-peat seem to be Ryan Skennar, who sits just 17 points behind Williams in the series standings, and Kristin Brown, who is 24 points further adrift in third overall. Junior Formula 500s will also feature with a field of six youngsters doing battle, while Compact Speedcars round out another huge program at Queenslands home of speedway, with gates open from 4.30pm. Early racing gets underway from 5.00pm and Sprintcars hit the track for time trial qualifying from 5.30pm, with the main program scheduled to kick off at 6.00pm.